Choose from the fonts below to enhance your lettering project. While there are no hard and fast rules, different fonts definitely create distinct moods and affects. For example, if your goal is elegance, or are excellent choices. If you are aiming for a sporty look, try . Nurseries and childrens's rooms are adorable with either the or font. 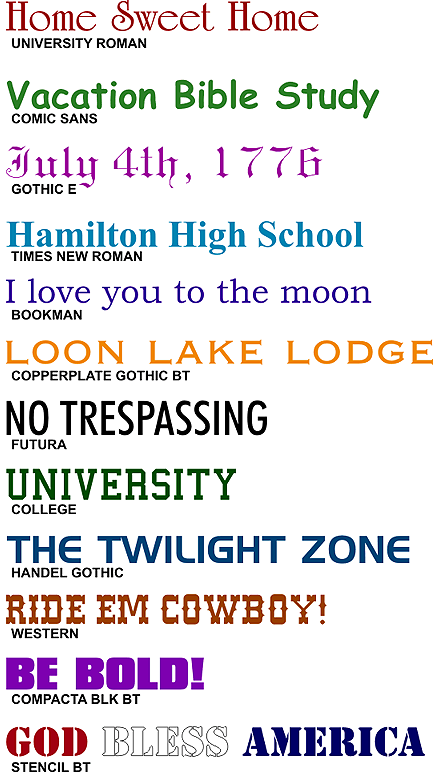 We have a font for just about every project. If you have a font in mind but don't see it below, please let us know.